Reading is a heritable and biologically endowed ability that is enabled by the exaptation of genetic sub-skills that are readily available as language and object recognition abilities. The significant role of genes in biological processes such as the formation and plasticity of the specialized neural networks that accompany reading, the role of epigenetic modification of genes in reading, and the reciprocal effect of emotion and cognition in reading are discussed in this chapter. 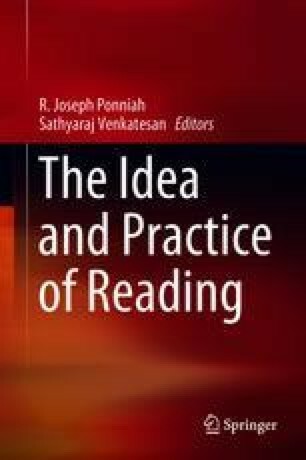 With due consideration of the genetic make-up of individuals, its effect on formation of the neural circuits corresponding to reading and the gene–environment interaction, the chapter proposes how knowledge of these aspects of a reader is pertinent to providing effective pedagogical solutions. Brzustowicz, L. M. (2014). Molecular genetic approaches to the study of language. Human Biology, 70(2): 199–213. Retrieved from http://www.jstor.org/stable/41465641. Clark, C., and Rumbold, K. (2006). Reading for pleasure: A research overview. National Literacy Trust. London. Retrieved from http://www.scholastic.com/teachers/article/collateral_resources/pdf/i/Reading_for_pleasure.pdf. Rietveld, C. A., Medland, S. E., Derringer, J., Yang, J., Esko, T., Martin, N. W., … Koellinger, P. D. (2013). GWAS of 126,559 Individuals identifies genetic variants associated with educational attainment. Science, 340(6139): 1467–1471. https://doi.org/10.1126/science.1235488.